The Wide Bar Black Gladiator Clownfish is a new Sea & Reef signature designer clownfish that was just released this past Friday! 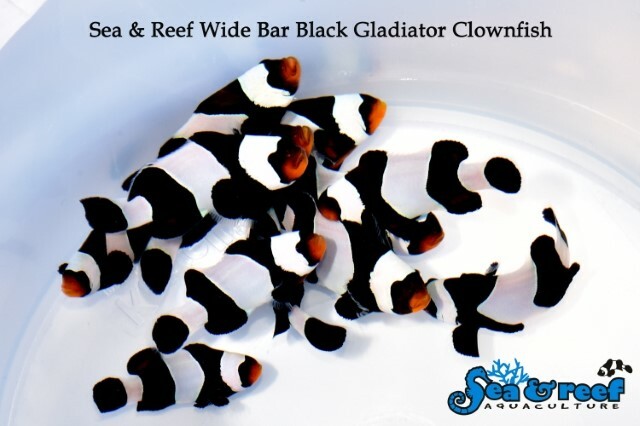 The Wide Bar Black Gladiator was naturally developed from the Wide Bar Mocha Gladiator Ocellaris Clownfish, which has much wider white bars than a regular Ocellaris Clownfish. In fact, the white bars are about twice as wide compared to that of a regular ocellaris (or Darwin Ocellaris) clownfish. Sea and Reef Aquaculture created the Wide Bar Black Gladiator Clownfish by breeding their Wide Bar Mocha Gladiator Ocellaris Clownfish with their super black Darwin Ocellaris Clownfish through several generations to produce an all Black and White version of this gorgeous designer clownfish. Like the Darwin Ocellaris Clownfish, the Wide Bar Black Gladiator Clownfish starts out more brown than black. As these fish mature they develop their deep black coloration. The area around the mouth of the fish is last to turn black and this color change typically occurs when the fish reaches about 2″ in length. According to Sea and Reef, the original Wide Bar Gladiator Ocellaris Clownfish was originally bred by legendary fish breeder Bill Addison, owner of C-Quest hatchery, who created and named this particular designer clownfish. The production of Wide Bar Gladiator Ocellaris by C-Quest ceased in 2010 when the hatchery closed. 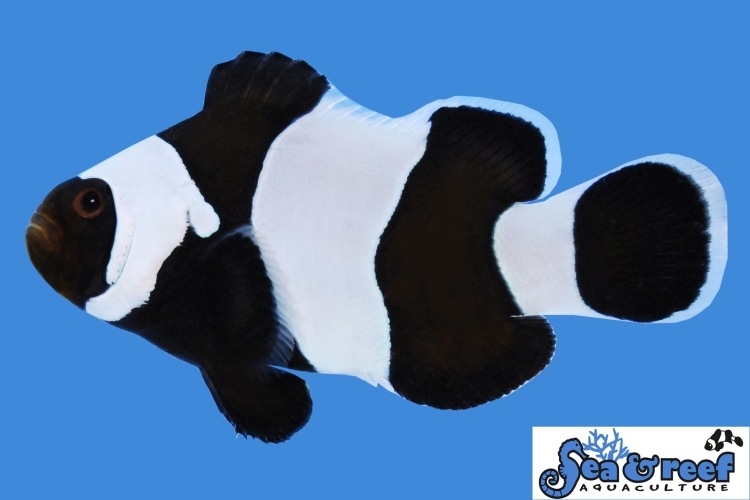 Sea & Reef acquired some of the original Wide Bar Gladiator Ocellaris Clownfish stock and in February of 2014 Sea and Reef brought this beautiful designer clownfish back. 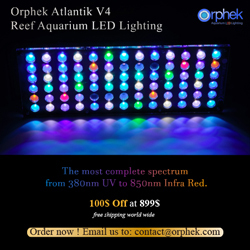 Pricing on these fish will determined by local stores and online shops that carry Sea and Reef livestock.